Horror fans might not immediately think of Australia as a hotbed for scary movies, at which point I’d quickly direct their attention to THE LOVED ONES or WOLF CREEK, or even a classic like LONG WEEKEND (1978). The new film THE BABADOOK has already received positive response at the Sundance Film Festival, and the trailer for the film (below) definitely creeped me out. Some have drawn comparisons to the psychological thrillers of Roman Polanski, which we would agree with. Not sure if it’s the muted colors, the smart editing, or just the overall look of the piece, but there’s definitely an unsettling tone present here. 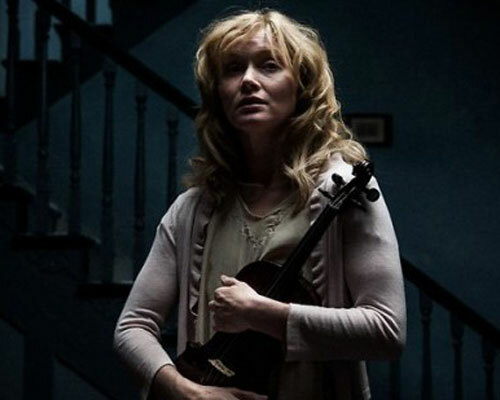 Written and directed by former actress Jennifer Kent, the film stars Essie Davis as a widowed mother raising a troubled son played by Noah Wiseman. Take a look and tell us in the comments if this one gives you the creeps as well. Six years after the violent death of her husband, Amelia (Essie Davis) is at a loss. She struggles to discipline her ‘out of control’ 6 year-old, Samuel (Noah Wiseman), a son she finds impossible to love. Samuel’s dreams are plagued by a monster he believes is coming to kill them both. When a disturbing storybook called ‘The Babadook’ turns up at their house, Samuel is convinced that the Babadook is the creature he’s been dreaming about. His hallucinations spiral out of control, he becomes more unpredictable and violent. Amelia, genuinely frightened by her son’s behaviour, is forced to medicate him. But when Amelia begins to see glimpses of a sinister presence all around her, it slowly dawns on her that the thing Samuel has been warning her about may be real. THE BABADOOK has no release date so far, but is expected to be picked up soon.